Regional contribution activity｜Manufacturing and Cost Management System's Ammic. Contributing to the local future through IT technology. 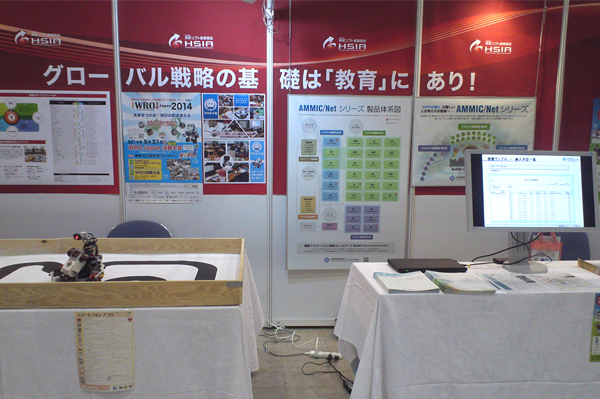 Ammic, with headquarters in Hamamatsu, is a company deeply-rooted in Chubu and Tokai where companies which support Japanese manufacturing basis are concentrated. We have supported wide regional contribution activity as a member of the local community, through IT technology. We are aiming to help in terms of continuous economy growth for current and future. Hamamatsu Software Industry Association (NPO) which has aimed cooperation, study and development of the companies, relating to the software and the software contents mainly in Hamamatsu city. 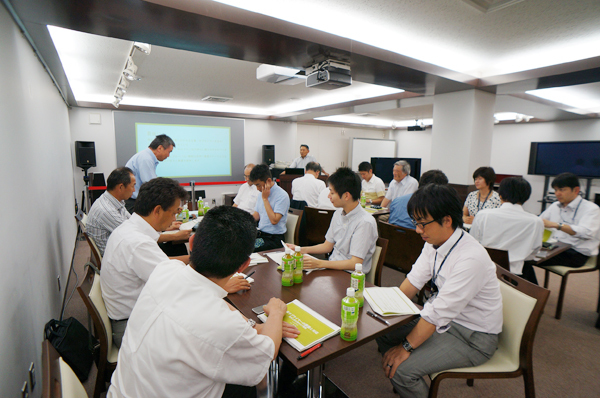 In order to make Hamamatsu to be an IT development base like Tokyo, has held forum and technical exchange meetings since its establishment in 2008. AMMIC, as a director of this association, has been supporting the activities for the growth of local IT industry and activating local economies. Chubu and Tokai area including Hamamatsu city is an important region in terms of the manufacturing in Japan, because this is the area where large enterprises which possess the worldwide brand, and global companies which expand the manufacturing factories in worldwide are concentrated. 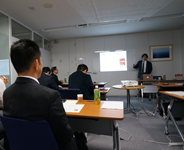 In order to polish up the IT management method which has grown with these advanced and global scale customers, and also reinforce the sharing of "Japan brand", AMMIC has presided over the workshops targetting manufacturing managers mainly in overseas, thanks to the cooperation of the local superior enterprise. Having the expectation of adopting the academic thought, Yamaki professor in Shizuoka university as a adviser introduces the speakers. Ammic has a role of secretariat. Innovation is mandatory in order to create new society and culture. Innovation is a process action. No need new technology. By knowing misunderstanding in our image of innovation, the preparation of grappling with innovation, and the hints of effective measure can be obtained. Thinking the meaning of job, taking a reaction positively, and enjoying the job will produce the real innovation. While progressing globalization of Japanese companies, it is a chance to think of "fundamental ability which is mandatory for execution of oversea project", once again. To succeed the oversea project,there are customs to acquire as conception of WBS, understanding three rules in terms of contract, and foreign language communication. Today's global expansion cannot be planned without the IT. Expansion of the IT will be entire sense of speed. Global expansion of the IT is a big chance to grow the IT resources. As actual conditions in automobile industry, it starts from facing to current globalization of automobile OEM. In terms of Japanese descent suppliers' risk and countermeasure, understanding the real risk which parts makers have, and thinking of the future state. 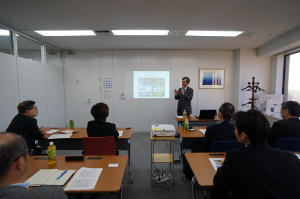 Additionally, from viewpoint of human resource cultivation mandatory to global expansion, and IT strategy which supports global expansion, promote global expansion of Japanese companies. Based on the experience when Mr. Takai was in the petroleum company, and also the questionnaire regarding to "SCM global human resources" in Tokyo Institute of Technology SCM school, reason why global SCM is currently required is pursued from several viewpoint. Moreover, third eye which is necessary for the supply chain manager, three conditions to be global resources, and company requirements to raise these resources are understood. Brand strategy for Mazda's base of V-shaped turnaround. What is brand? Building the brand started from knowing ourself; who is Mazda, where Mazda is going. All activities is to achieve the thought of the brand. 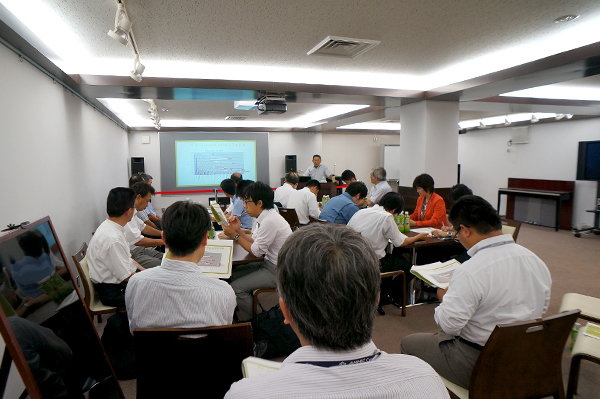 Role for Japan headquarter is to build the program (goal/system) and promote. Before thinking what should be done for the future, we should first understand in which position we are now. Though the Cloud has several types, sharing with other companies will be lower price. Shizuoka university has used the cloud for emails and/or a part of data server. And achieved cost reduction. 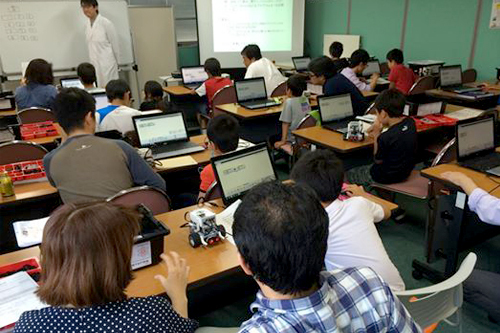 "IT robot school" is encouraging the children's interest to IT through creating robots or games and hopes to mold and raise future IT engineers. IT specialists from local companies have joined the courses which target from third grader to sixth grader, as teachers. This practical curriculum has been widely noticed by people in the education field. 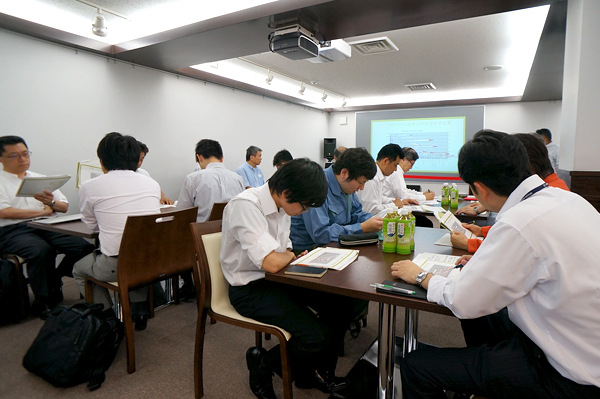 Ammic has continuously contributed for local children to be able to have high quality and beneficial educational opportunity, through Hamamatsu Software Industry Association.